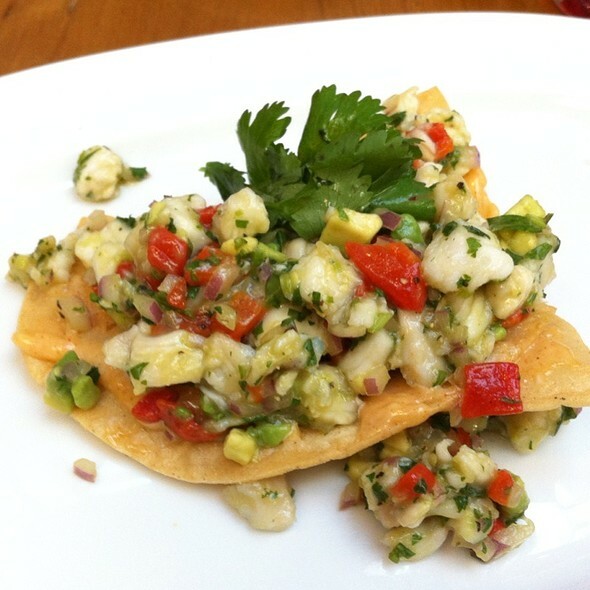 You must make reservations at least 5 minutes in advance of the time at La Plazuela at La Fonda on the Plaza. Dinner was fine. Food was okay. Probably will not return here next visit to Santa Fe. The food was overpriced for the quality and taste of the food. Service was exceptional. Overall, my grandmother and I really enjoyed our dinner and the atmosphere. Only real complaints were: 1) the light was very dim at our table and my grandmother struggled to see her food; and 2) the noise level was high enough that I had to struggle to hear her and yell so that she could hear me. Otherwise, all was great! 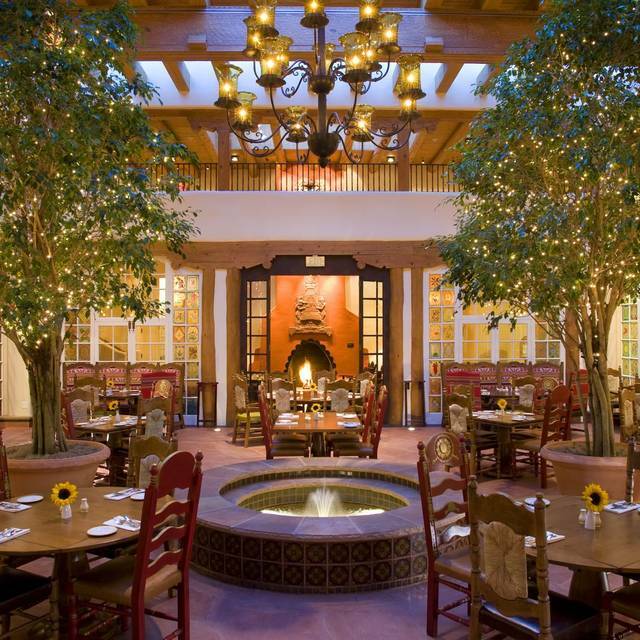 This is our go to dining in Santa Fe. A historic hotel with a chef and some staff who have been there for years. Quality and consistency has been spot on for the last 20 years I have been going here. Start out with the table side Guacamole and ave the Rellenos de La Fonda - you won't regret it! Always reliable and delicious. It is one of our favorites. If you park in the La Fonda garage, be sure to take your ticket into the restaurant where it will be stamped and initialed and your parking will be free. We take friends to this restaurant which is one-of-a kind. Those from out of town are always impressed. 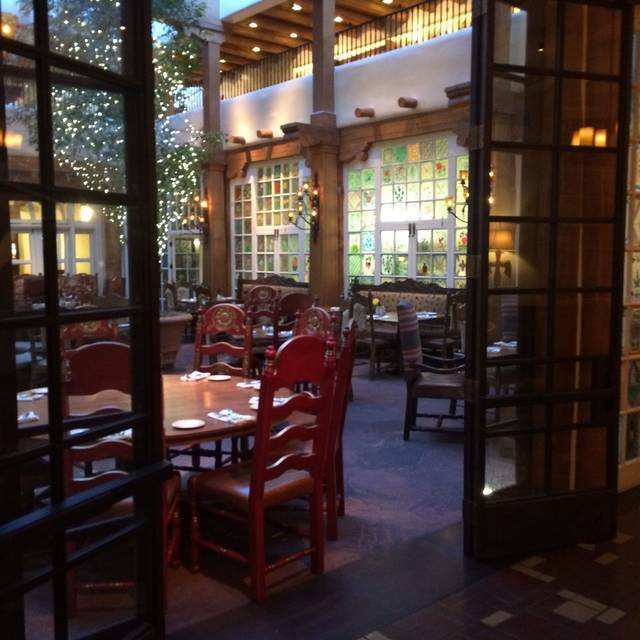 La Plazuela is a beautiful and central eating location in downtown Santa Fe. We loved our seating in the center of the atrium. Overall the meal was very good. My wife and I both ordered the prime rib meal. However my prime rib was medium well instead of the medium I ordered, and my swirl of mashed potatoes was lukewarm when it arrived. My wife's portion was correctly medium rare and she enjoyed it. The red wine by glass was outstanding. Overall we enjoyed ourselves and will be coming back. Tom. A beautiful place that feels upscale, but doesn't break the bank. The food and atmosphere are excellent. Birthday. We had a nice dinner and a good time. I don’t know why you thought I was a no-Show. We belong to La Plazuela’s Birthday Club and really enjoy it. I was there both Tuesday AND Thursday. As always, La Plazuela comes thru with excellent service and great food for the value. We would go there as tourists while staying at La Fonda, and now as "locals" we come back all the time when we want a good meal in a delightful venue, with the wonderful folks that have waited on us, some of them for years. The ambiance was awesome. A mix of options...something for everyone. Loved the chicken tortilla soup and very nice wine options. 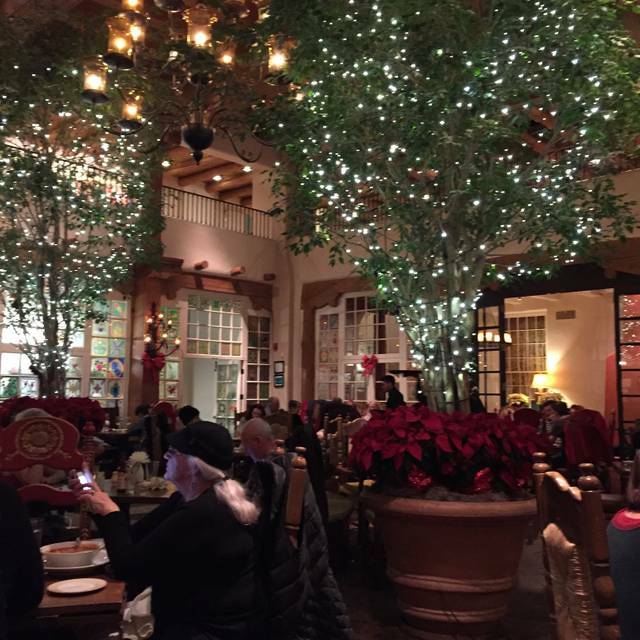 We always love the food and ambiance. Warm congratulation at check in started things just right. This trip we had THE greatest waitress ever, and my steak with enchiladas was a perfect Santa Fe experience. We never miss this restaurant when in town. I love the La Plazuela. It is the first restaurant I choose for dinner when I arrive in Santa Fe. The traditional northern Ner Mexican food is great. The food was generally very good, however the skirt beef in the fajitas was stringy. Otherwise the rest of the dinner was very good. The one thing I would advise the management is to not allow the wait staff to wear perfume, which on our waitress was overpowering. Delicious food, great service, beautiful decor. Highly recommended. We were there for our anniversary this time and as usual every thing was great. They do a very good job on steaks and the tortilla soup is delicious. 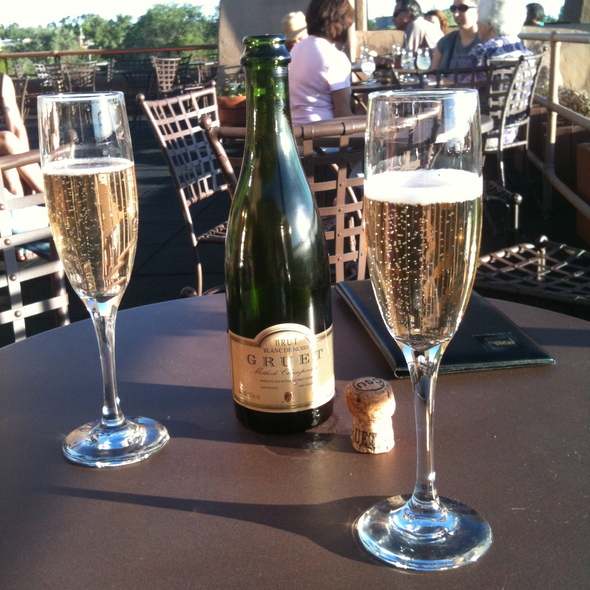 We always like to go to La Plazuela for special occasions or just an enjoyable dining experience. Must be a very popular restaurant, we had to wait about 10 minutes after our reservation time to be seated even though we arrived early for our reservation. Located inside the La Fonda Hotel, I was pleasantly surprised with the outstanding flavors of the menu items. I'm not usually a fan of hotel restaurants, however, this one has changed my point of view. 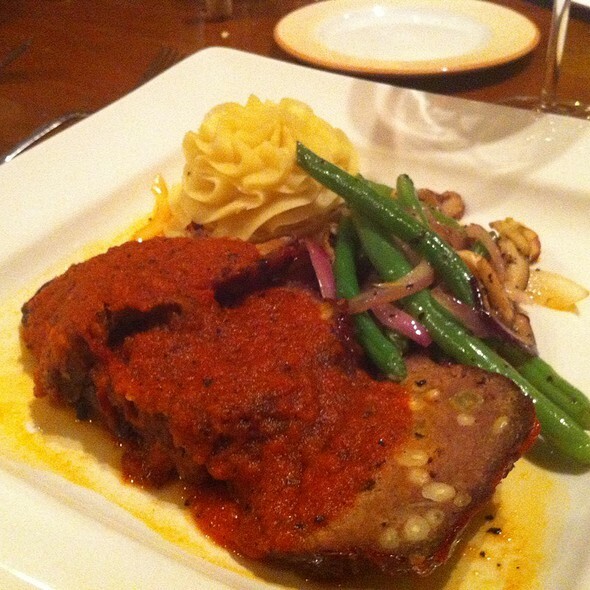 I had the beef tenderloins which were very tender and the accompanying sauce with a perfect match. We had the tableside guacamole as an appetizer and it was superb. My son tried duck for the first time ever and he really enjoyed it. The portion sizes were large, consequently, we were too full to try any of the dessert choices. Another establishment in Santa Fe that we look forward to patronizing again in the future. We had a wonderful experience at La Plazuela! Our server was very gracious and helpful with our ordering, since we couldn't decide. 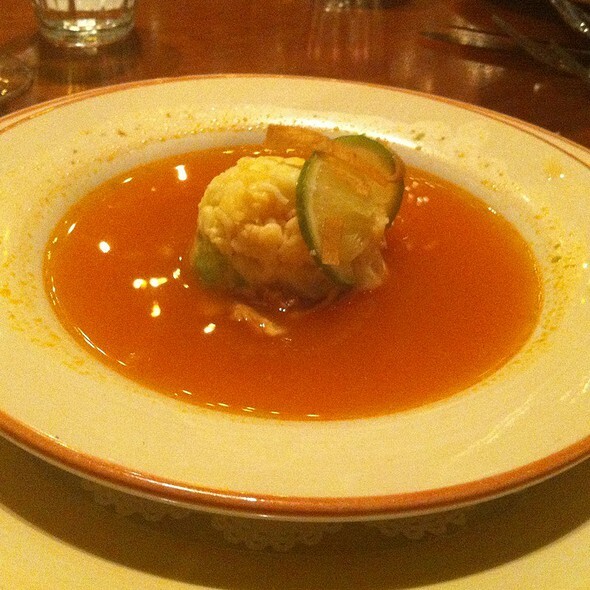 I started with the creamy chicken pablano soup, which was delicious. Could have been a little hotter, but was yummy. I ordered the enchiladas for my entree which came with delicious pozole. One of my friend's was celebrating a birthday and I forgot that I mentioned that when making the Rez, but the restaurant remembered and sent a complimentary flan for dessert, which was appreciated! Great food and service. Will be back to enjoy it again soon. as always, la fonda's restaurant put on a show. great room, great food , great service!! hors d’oeuvre presentation and taste was very nice. My entree was lamb and not very good....tough,not very tasty. Service was excellent. Overall,not worth the money and too many other restaurants with better food .ambiance was hindered by noise. Dissapointed, as we were expecting better food. Servers never smile. Perhaps we just caught an 'off' night, but the staff were all disgruntled and the steak was so tough and tasteless, it really should not have been served. Our neighbor loves La Plazuela so we had high hopes and are sorry to give it a bad rating. Great food in a lovely atmosphere! Five PM was a great time to go. Very quiet, pick of the tables and not busy. Food, service and ambience was as good as it gets. We really had a good time. The food was excellent and the staff was most helpful. We tried two days before Christmas 2018 to eat here and did not realize how popular this restaurant was and did not make a reservation. This weekend Feb 23rd was our first trip back to Santa Fe since Christmas and we made sure to get a reservation. The quail tacos were delicious, we also ordered tartare tuna and prime rib. Everything was delicious. The bread was a hard crust roll which I don't like. A soft loaf bread would be nicer to go with the meal. The wait staff kept our drinks full and the table clear of empty dishes. Wonderful experience. I will return. MY DAUGHTER EMILIA ORTIZ AND MYSELF HAD AN AMAZING BIRTHDAY DINNER ! WE HAD GREAT CUSTOMER SERVICE AND INVITED MY SISTER IN LAW AND HER HUSBAND FOR DINNER NEXT WEEK. La Plazuela is a great place to take out of town guests and the food is good, represents Santa Fe well. We had the best chili rellenos ever! The guacamole was made in front of us to our order. Super delicious with warm fresh chips. The sopapillas were puffy and light. The ambiance was Fabulous! La Plazuela has never failed to serve a memorable dinner for me and my wife. The quality of the service makes us feel as though we are very special people as the wait staff are always very attentive but not bothersome. The food was excellent in all regards. 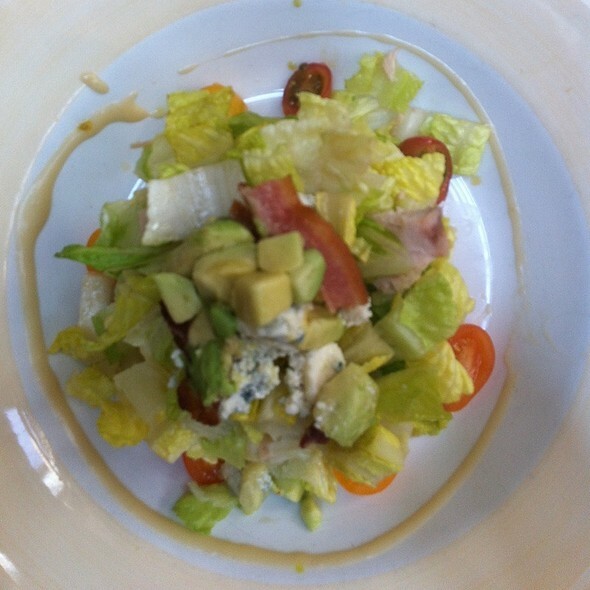 Even the spicy and creamy ranch salad dressing was a treat being out-of-the-ordinary but extremely flavorful. The entrees were both excellent and filling. Ambiance at La Plazuela is always treat. We sat next to the fountain, our favorite seating location, and enjoyed viewing the architecture that oozes with history. Always consistently good and a favorite stop when we’re in Santa Fe. 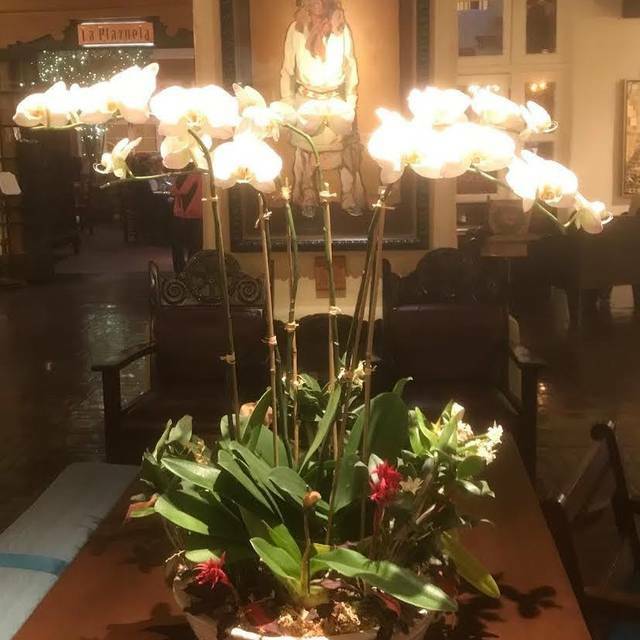 Lovely old world decor and very comfortable atmosphere. Great food and service, excellent assistance with reservation modification needed. This restaurant is underrated, we have eaten here many times and there is always consistency in preparation with excellent service. It is a Santa Fe icon. Service was not great. Fajitas were great, but the prime rib was very fatty.